In the spirit of Halloween, the autumn winds change the Rocky Mountain landscape, and if you listen closely, perhaps you can even hear the ghosts rustling in the mountain air. October brings fall colors to Colorado, followed often by a dusting of snow, and a chance to experience haunted hotels in Colorado. Afraid of the dark? With the shadows and shady history of downtown Denver, your scary meter will join the ranks of ghost hunters and visitors to the Mile High City with ghosly postal workers, haunted “castle,” and railroad conductors. 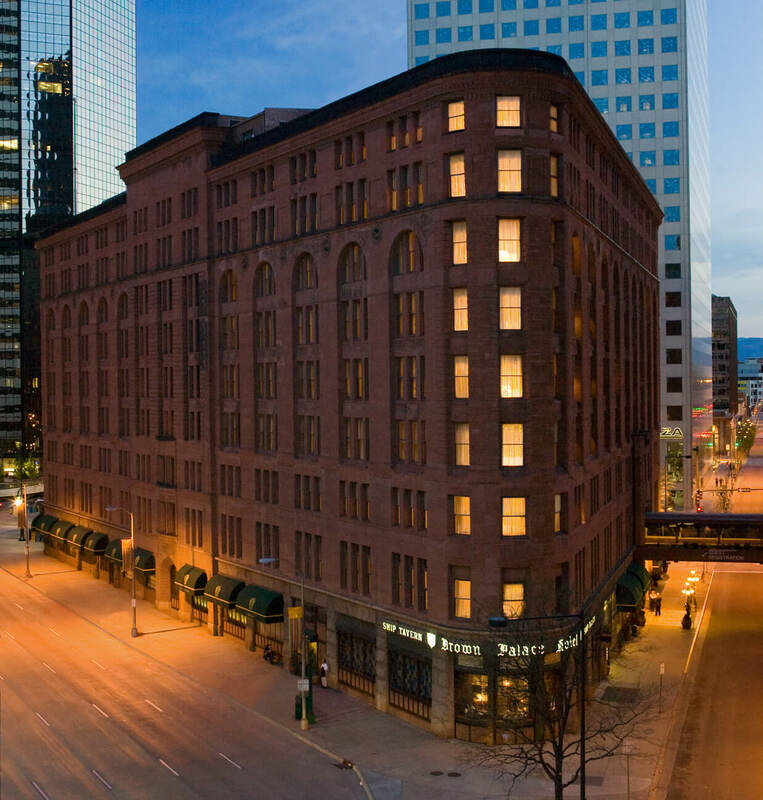 If you’re looking for hot spots which just happen to be historic, then downtown Denver’s Brown Palace Hotel & Spa brings on the spooky with a history dating back to 1892. 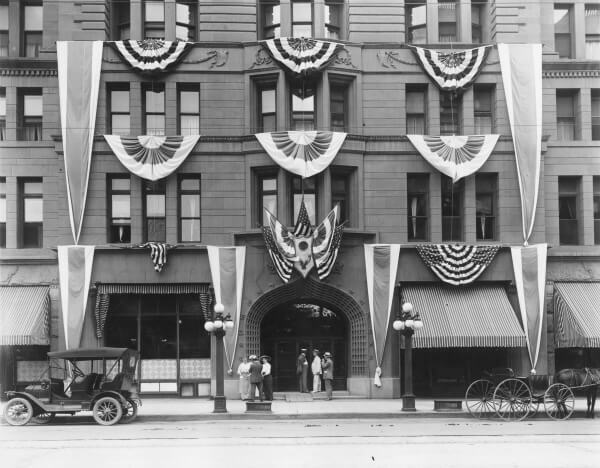 With more than a century of hotel guests, the Brown Palace has welcomed presidents, international political leaders, and celebrities through its doors. And some have forgotten to check out. From lights that turn on and off by themselves to seemingly crawling carpets to sightings of a specter wearing an old-fashioned railroad conductor’s hat, check into the Brown Palace and be prepared to say hello to ghosts of hotel stays from the past. As the oldest boutique hotel, The Oxford Hotel & Spa is all about luxury in its classy LoDo neighborhood, but the more than a century old hotel also lives with a past. From locked bathroom stalls to sinks that magically turn off and on during those late night haunting hours. If you dare, sleep in room 320, where in 1898, a woman took her married lover’s life before taking her own, and single male guests now report sheets being ripped off the bed and their arms being pulled by an unseen force. Also at The Oxford is the Art Deco style Cruise Room, a nautically themed bar known for its martinis. And the mysterious postal worker, who orders a beer and drinks it, muttering about “taking the gifts to the children” and the leaves. The beer is untouched. Research talks about a 1930s postal worker tasked with delivering Christmas gifts to the treacheros mining town of Central City but never arriving. In the spring his body was found with the Christmas gifts surrounding him. 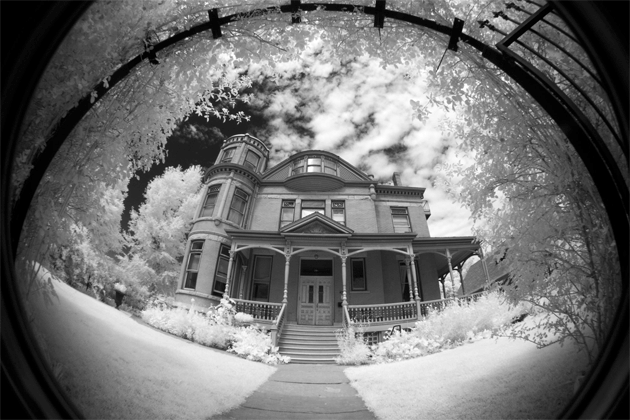 The haunted history of the Croke Patterson Mansion in Denver’s Capitol Hill dates back to the late 1800s. The Castle Project is a documentary that chronicles the strange occurrences that bring chills to even the most skeptical ghost hunter. Apparitions, whispering voices, and strange smells quickly bring goosebumps to visitors. 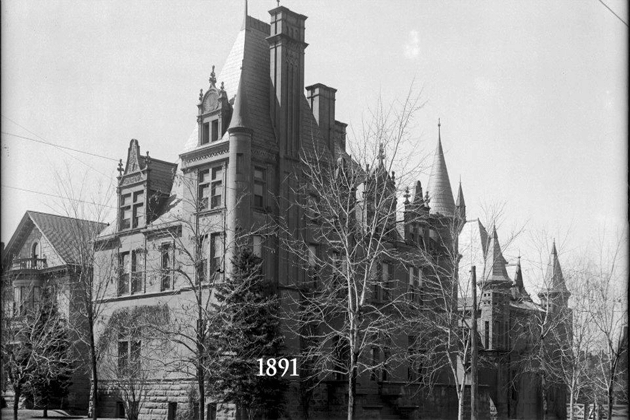 The 14,000 square foot bed and breakfast is an 1890s red sandstone mansion built by Thomas Croke. In 1970s, the mansion began its path to the dark side with a reportedly haunted by a little girl buried deep in the basement floor. Today the mansion is a lovely B&B, Patterson Historic Inn, but the paranormal activity might chase away a good night’s sleep. Murder mystery dinner anyone? The perfect combination of historic and haunted is at the Lumbar Baron, a “haunted house on a movie set.” Its neighors called it the “haunted castle, and ineed the Queen Anne Victorian mansion was the site of the mysterious 1970 murders of two young women. Weekly occurrences including strange voices, moving furniture, windows closing, cold spots, and even a woman in a flapper style dress grasping a glass of champagne. The Lumbar Baron B&B is always open to overnight guests, but with the limited number of rooms, why not enjoy a Haunted House Hunt myster dinner and at least experience an evening of dinner regaled by ghost stories told by costumed characters? Photos Courtesy of VISIT DENVER, Brown Palace Hotel & Spa, Diana Rowe, Patterson Historic Inn, and the Lumbar Baron. Thank you for including us in your article; we love our haunting history! We’re excited to showcase your article on our Facebook page tomorrow, Oct 9th. We hope you have a fabulous Halloween! Despite it being a new hotel, The Crawford feels haunted to me. I haven’t had any true paranormal experiences during my stays there, but I do have a good sixth sense and it’s sensing something in those big hallways!!!! Hi there Heidi, I agree with you on the Crawford, something about its history has to be haunting those halls! Thanks for reading! Thanks, Jenny, for sharing! We love the Brown Palace — and the ghots…well that’s just bonus spooky fun.